Little problems left untreated become bigger problems, which mean a bigger expense. A little preventative maintenance goes a long way, especially in the plumbing department. 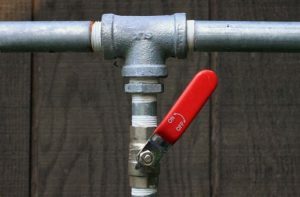 Here are a few examples of small things you can do to avoid a plumbing nightmare. Look for visible wear and tear. If you take a quick peek behind the washing machine for example, you could save yourself from potential flooding damage if one of those hoses breaks. Check behind it and look at the hose. Inspect it for cracks and stop a problem before it happens. With clogs, the best thing to do is to prevent them before they happen. Don’t put grease down the sink. And clear hair out of the shower on a regular basis. Clogged drains can lead to bigger problems down the line. If you notice clogs in sinks, showers, bath tubs or toilets, don’t let them be. Take care of them. Either clear the clog yourself, or call a professional plumber. Have you ever had a frog or something worse pop up in your toilet? If it is only a frog, you’re lucky. Most likely if came in through the vent stack on your roof. The vent stacks can be covered with chicken wire if the problem persists. But if you have snakes or a four legged critter, you could have a problem with the sewer line. At that point you would want a professional plumber to perform a sewer video camera inspection to determine if there are any possible entry points. The water shut off valve is very important. It’s important that you know where it is, and it’s important that you know that it works. You should test it to be sure. If you’re going on vacation, or if you are a seasonal resident, make sure that you turn it off when you leave the house. If there is a problem with the water, your whole house won’t be damaged by running water in your absence. Just like a car, the plumbing in your home needs little checkups to make sure it runs in tip top shape. A changing habits and a little prevention goes a long way in stopping problems before they happen. But when they do, Wyman Plumbing is here for you. Wyman has been a true fixture in the plumbing industry since 1924. Call us today and see why we’re Bradenton’s number one plumber!